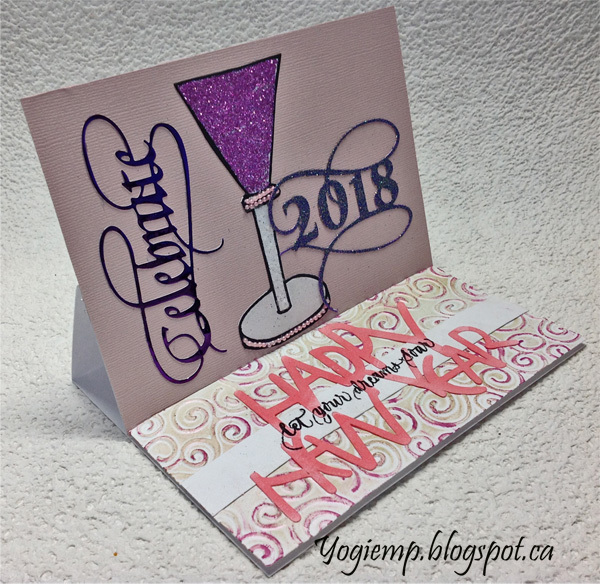 For some reason I was in a mood to create a New Years card... not something I normally do. Suzanne is also coming out with a lovely cut file for a monoline font which hasn't been released yet... but she said I could use it BIG GRIN. 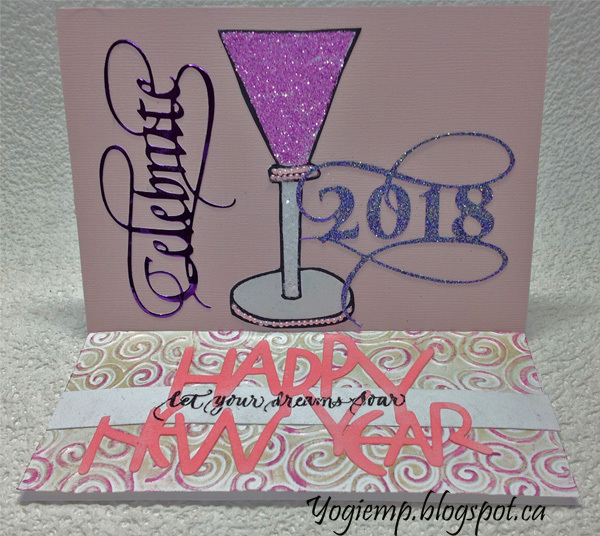 Great New Years card....love the glitter! Thanks for linking up to The House That Stamps Built! Happy new year, Yogi! Look at all that beautiful glitter, sigh... 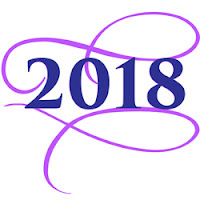 Looking forward to a new year of inspiration! Oooo . . . so sparkly!! And I LOVE the font on the dies/cutting files you used!! Thanks for playing with The House That Stamps Built. Great festive card to ring in the new year! Thanks for playing with 4 Crafty Chicks! Hi Yogi love this 2018 New Year card.